When your roof starts to leak, you have a big problem on your hands. Not only is water coming in and damaging the interior of your home, but you have no idea how big the problem is and where the water has spread. 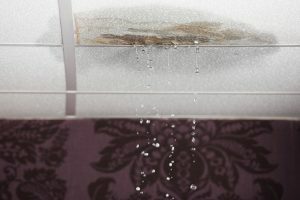 A roof leak could be a symptom of a minor crack in the roof, or it could be the result of long-term roof damage that has spread from the outside portion of the roof to the internal structure. When a roof leak happens, you need to call a qualified team of experts to evaluate the extent of the damage and start working on a plan of action that will take care of the problem right away. In Franklin County, you can always rely on the 24/7 professionals at Sierra Restoration. Do you know how to repair a roof? If not, repairing it yourself is not the best path to take. A professional restoration team is certified and insured in water damage restoration and will know what type of problems to look for, how to best remediate the damage, and how to restore it better than it was before the leak started. Professionals will be able to detect mold, completely remove any growing mold and restore any structural damage that has happened because of the mold. Professionals don’t just come in to take your money, their jobs are to make sure your property and your family is safe from any future damage. Mold can be quite hazardous to your health and almost always accompanies a water damage situation. Calling in a professional to take care of your home is choosing the most responsible and reliable way to take care of your home. Depending on the extent of the damage, your roof might need immediate repairs or a full replacement. A professional restoration team, like Sierra Restoration, has the ability to reconstruct the damaged structure, making it as good as new. This includes the roof, siding, structure, drywall, and ceiling. When you hire a team that takes care of the cleanup and repair work, you have a one-stop shop for all of your needs. No need calling in several different companies and trying to find a handful of helpful and reliable works, you can rest easy knowing that the one team you called for your emergency needs will be with you from start to finish. Sierra Restoration isn’t your everyday restoration company.Our team truly cares about our local community of Franklin County and we want to help our friends and neighbors feel safe and secure when they experience roof damage, or any other type of damage due to water, fire, and mold. Our team is on call 24 hours a day so that when you experience a disaster, we can be there, no matter what time it is. Our goal is 100% satisfaction and safety. When you call Sierra Restoration, you can always expect the best customer service, clear communication, and an honest work environment.